The L221FH is self-propelled and equipped with a heavy-duty steel cutting deck featuring collection, mulch and rear discharge, offering you added versatility in terms of mowing frequency and cutting results. 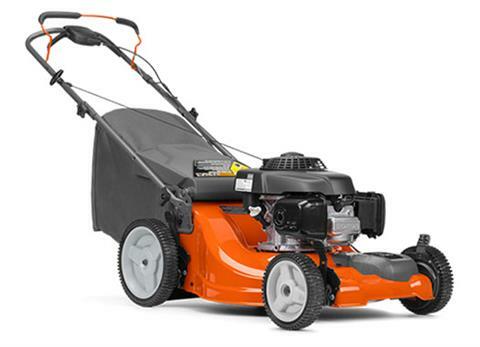 Variable drive speed allows you to adjust the speed according to your needs and the condition of the lawn and high rear wheels allow for maximal maneuverability. A foldable handle provides easy storage and transportation. Mowing Height Range 1 - 4 in.